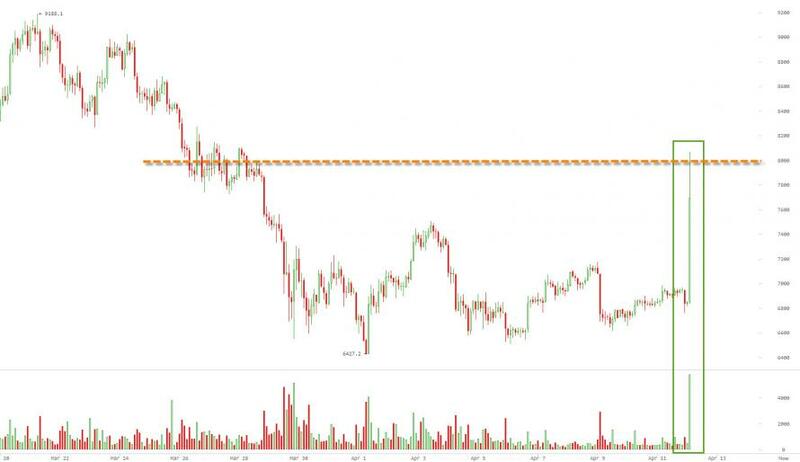 The last 30 minutes has seen Bitcoin explode higher by over 15% (the biggest move since 2017), breaking above $8,000 on extremely heavy volume as the cryptocurrency tests above its 200-day moving-average. Additionally, and perhaps more likely, this is a reflexive easing from the tax-related selling pressure that many have discussed as a big driver of cryptos downside ahead of next week's tax deadline. Extremely heavy volume on this upswing... The move peaked at around 16%, before fading back to a more stable 11% gain. 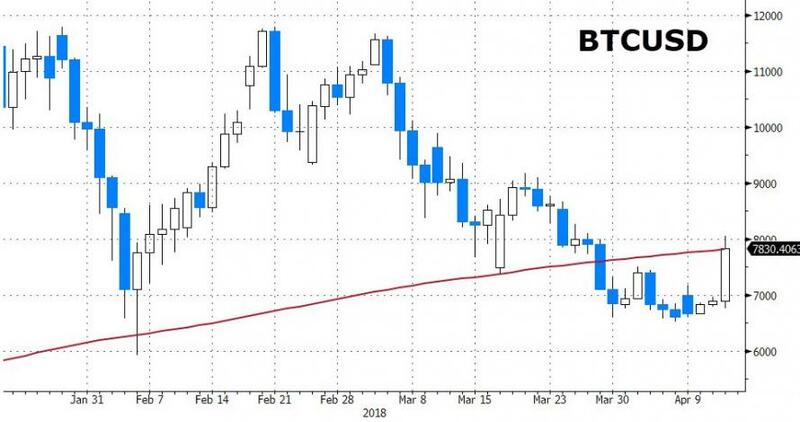 While this panic-bid is notable - the biggest spike since 2017 - the price of bitcoin has nearly halved in the four months of the year so far, and its unlikely to top its all time high of $19,843, set in December, ever again, Barclays says. 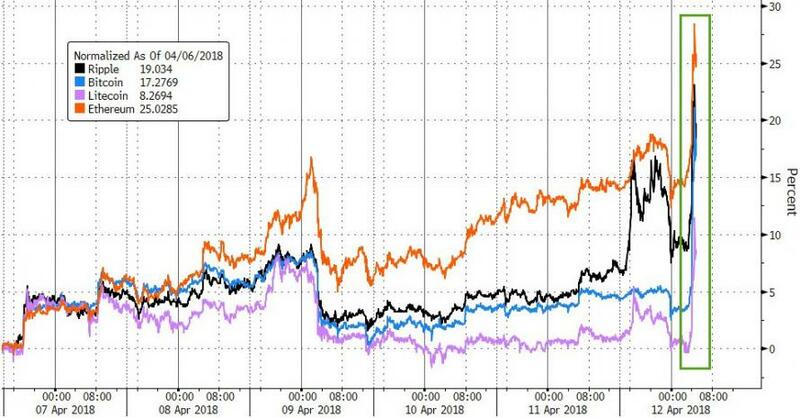 Unsurprisingly, as BI reports, the team of analysts led by Joseph Abate say there's a striking similarity between bitcoin's rise in popularity and the spread of viruses like influenza. "Applying this model to speculative behaviour in crypto currencies, it suggests that once a large enough share of the population susceptible to speculation becomes aware of and holders of crypto currencies, upward pressure on prices stalls," they write. 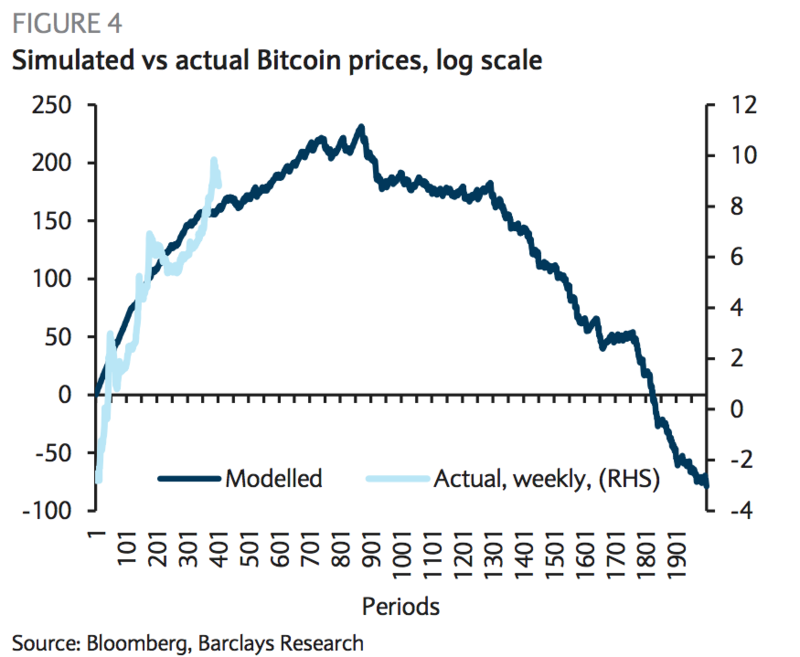 "To the extent that holders’ attraction to Bitcoin was speculative – as our empirical analysis of historical prices suggests – those holders then become sellers, initiating an accelerating downward spiral."